Due to the immense popularity from the past few years, Google has declared Motu Patlu as the most popular TV show in the world. In today’s blog we will talk about rib-tickling comedy show Motu Patlu. As the name suggests Motu Patlu is a story about a two friend; one is fat and other one is thin, they are the main protagonists in the show. 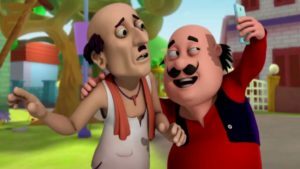 Produced by Cosmos Entertainment and Maya Digital Studios, hilarious story of Motu-Patlu is an adaptation from the Classic Comic Strip on Lot Pot. It is an animated sitcom television series aired on Nickelodeon. Google Trend placed Motu-Patlu at No. 4 in the rating list as the most popular TV show in the World. Motu-Patlu is the only Kids’ Animation show to be featured in the top 10 search trends. This happened as the show received top ratings in India, Motu-Patlu remained at the top of the ranking every week of 2018. 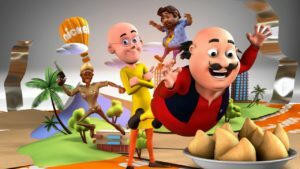 Beating other American shows like ‘Lost in Space’ and ‘The Haunting of Hill House’ from the Netflix portfolio, Motu Patlu emerged as most searched Indian TV show in the world. Peeping Into The Space of Motu-Patlu. Motu-Patlu was premiered on October 2012, starting from the episode ‘John Banega Don’. Suhas Kadav is the director of the show and Sandesh Shandilya is the composer of theme music. It is written by Niraj Vikram whereas Deepa Sahi and Anish J S Mehta are the producers. Motu Aur Patlu Ki Jodi, the theme song is sung by Bollywood singer Sukhwinder Singh. Motu Aur Patlu Ki Jodi is very catchy and hilarious song and adds up more rhythms to the story plots. 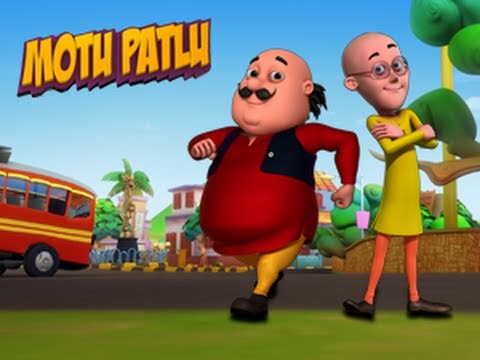 Motu-Patlu cartoon series is about Motu and Patlu two friends living in Furfuri Nagar. The story shows how they fall into the comical situations and then rescue themselves only by absolute luck. 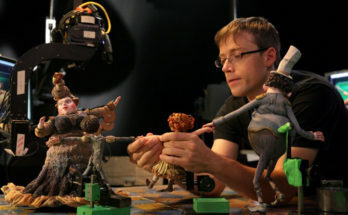 Its an amazing 3d animation series loved by people of all age groups. Motu craves for Samosas all the time as Samosas are favourite food of Motu and he frequently tries to steal them from the local Chaiwala who makes the best Samosas in the Furfuri Nagar. Samosas provides Motu power and his brain starts to work again as Motu says in the plot that ‘Khali Pet Mera Dimag Kaam Nahi Karta’. Motu lands up into trouble whenever he looks for easiest way to earn money, have fun or eat lot of Samosas. Motu’s dress code is Red Tunic with Yellow Pyjama and sleeveless black jacket. He has a pot belly and little hair above his head. Motu’s best friend is Patlu, he often gets into trouble because of Motu’s action. It is the Patlu who solves the problem and brings Motu to the safe zone. Patlu is a slim and smart man in the Furfuri Nagar, his brain works very fast. He gives advice to Motu to be at normal track and lead danger-free life but something or other always happens to them. He does not like samosas but loves to read newspaper. 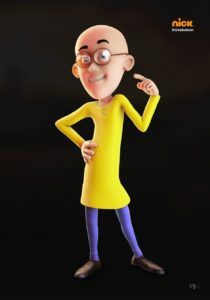 Patlu wears Yellow tunic with Orange Pyjama, brown framed glasses and brown shoes. ‘John the Don’ is the main antagonist in this serial, who is accompanied by his two dull-witted henchmen. John wants to be Don but his plan fails due to the heroic actions of Motu-Patlu. The high-quality 3D animation has always been a part of Nickelodeon’s effort in offering different Indian content to kids. 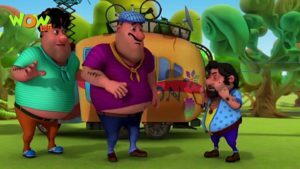 The animation of Motu-Patlu is done by Maya Digital Studios brilliantly and it did justice to the Lot-Pot comic series. 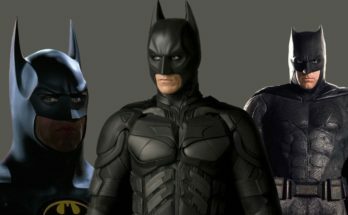 Maya Digital Studios have developed the technology of animation and visual effects in India and constantly offering International quality 3D animation for best International Studios. Motu-Patlu gathered more than 3 billion views on WowKids, Cosmos-Maya’s You Tube Channel despite of Motu Patlu is geo-blocked on YouTube in India. In this show National Integration has been portrayed through the characters from different states of the Country which make the show more lively and interesting. The other characters like Ghasitaram, Chingam and Dr. Jhatka are there to help Motu and Patlu. Dr. Jhatka is from Punjab and his accent is like a sardar; he is a scientist and keeps himself busy in his inventions, his gadgets are of no use to the humans. Ghasitaram is from West Midnapore in West Bengal, his 20 years of experience is of no use to anyone. Inspector Chingum is a police Inspector from South, he has South Indian accent and he is a Rajnikanth’s devotee. Chaiwala is a man who lives near Motu’s house and makes Motu’s favourite samosas and Patlu’s favourite tea. The dialogues delivered by different characters with the authentic accents are very impressive. The background score and the theme song is very mush rural in nature and gives a very ‘Desi’ feel to the show. Music composer Sandesh Shandilya and singer Sukhwinder Singh has done justice to this comedy show. Fictional town Furfuri Nagar is a peaceful and colourful Indian small town surrounded by a river, few shops, large market area, bus depot, airport, a cluster of single-storey houses and temples. The police force of Furfuri Nagar wears uniforms of Maharashtra Police. The length of single episode is about 30 minutes each. The genre is slapstick humour and a fun show for kids as well as adults. A movie called Motu Patlu-King of Kings has also been released in the year 2016, produced by Ketan Mehta. According to Anish Mehta CEO Cosmos-Maya, “Motu-Patlu is our biggest property. 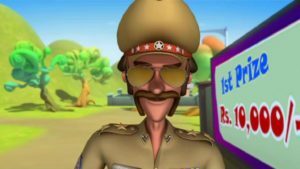 Motu Patlu is definitely an entertainer for kids with all the properties of slapstick humour; the overall presentation is eye-catching and impressive. 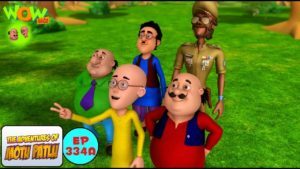 Compared to other Indian Television animated cartoon shows, Motu Patlu is more popular due to its high quality International standard 3D animation, hilarious content, bright and colourful presentation, melodious music and Desi style. Animation in India has improved to the International level therefore our animated programmes are capable of fetching appreciation from not only India but aboard also. So, what are you waiting for be a part of our Maac Kolkata and take your imagination to the International platform.